British Broadcasting Corporation [B.B.C./BBC], 1983, Hardback in Dust Wrapper. Illustrated with colour & black and white plates. 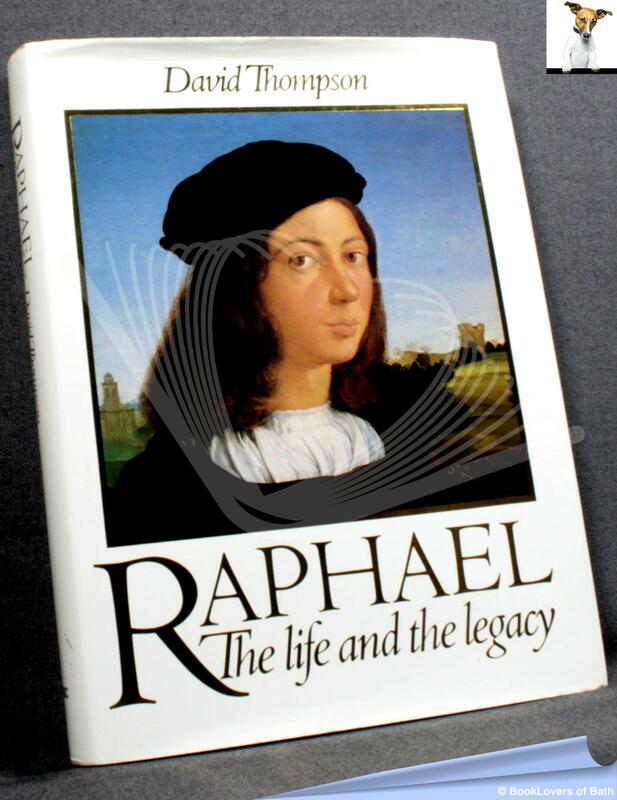 From the cover: “It was just thirty-seven years from Raphael’s birth in Urbino in 1483 to his death, at the height of his powers and on the threshold of new developments. Few artists have been as loved and admired in their own lifetime and few indeed — even among the glittering pantheon of Raphael’s own High Renaissance contemporaries — as prolific and successful. This, the quincentenary of his birth is, as David Thompson insists, a timely opportunity to strip from Raphael the centuries-long accretions of idolatry, and to recapture what it is that his art sets out to express. Size: 10" x 7½". Brown boards with Gilt titling to the Spine. 256 pages.